Taken at: Casa Milà, Barcelona, Spain, 2015. I’ve been looking back at photo’s from my recent summer vacation (in an attempt to escape the current cold winter reality) and stumbled across this one taken in Barcelona. 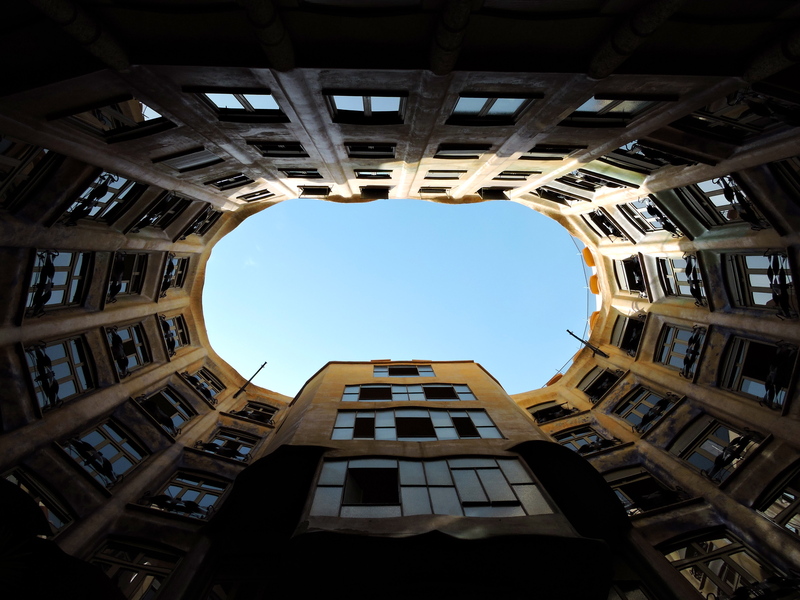 This photo is taken from the courtyard of Gaudí’s Casa Milà, an architectural masterpiece. You would probably recognize the building from it’s extravagant outside and rooftop, but I was really draw to the structure of the building. I loved playing with perspective and angles in this photograph, and I’m pretty happy in how it turned out.